Categories: Cleaning and Painting & Decorating. 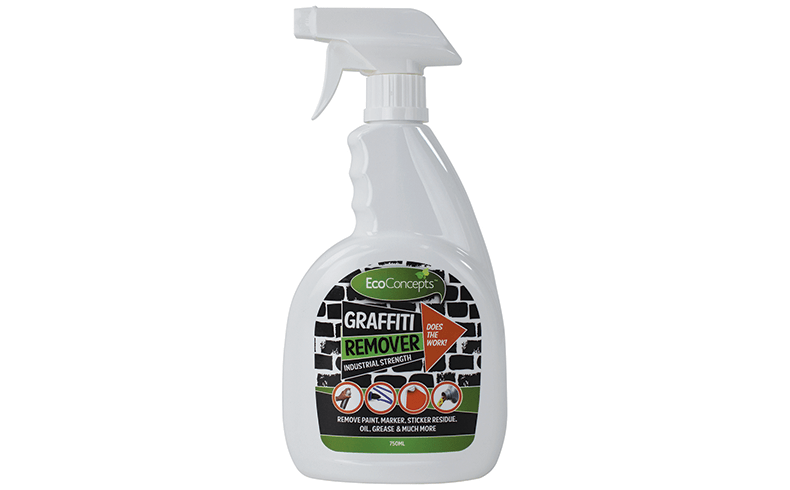 Eco Concepts Graffiti and Stain Remover is effective on a range of surfaces and stains; plus it is concentrated for value. 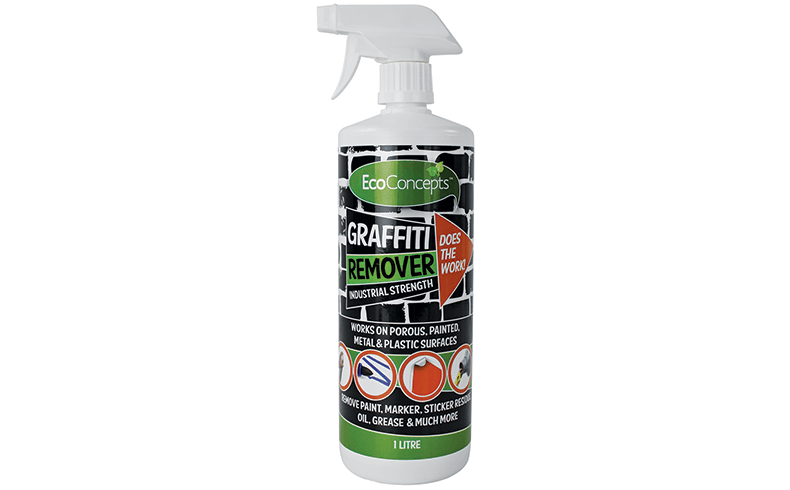 It can eliminate spray paint, permanent marker, grease and oil, carpet stains, ballpoint pen ink, nail polish, tyre marks, heel marks, printer ink, chewing gum, and restore whiteboards. Diluted with water it can be used on plastic, laminate, metal, whiteboards and most painted surfaces. 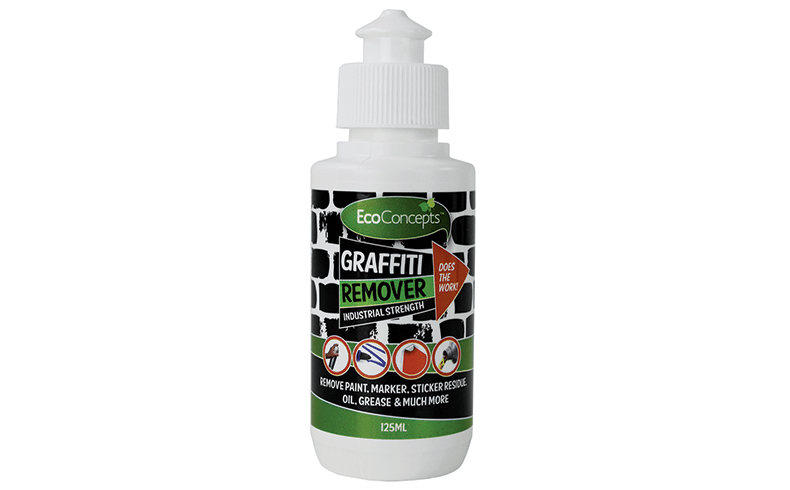 Undiluted it will penetrate and remove graffiti from porous surfaces such as brick, stone and concrete. It is environment-friendly; readily biodegradable; and contains no VOC’s, abrasives, aggressive biocides, caustic alkalis, chlorinated solvents or phosphates. It is non-flammable, non-hazardous, and non-toxic and exceeds aquatic toxicity standards. It is safe for use in home, office, transport, schools and commercial applications. 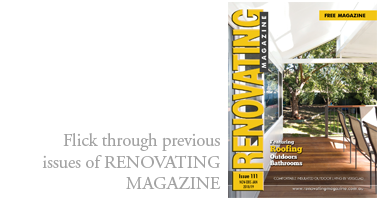 Distributed through hardware stores by Masters Distributors.